Building on the successful completion of our works on Kings Cross Station, Pyramid was awarded the London Bridge masonry package in 2013. One of the busiest stations in the country, London Bridge brings over 50 million passengers into the city each year. 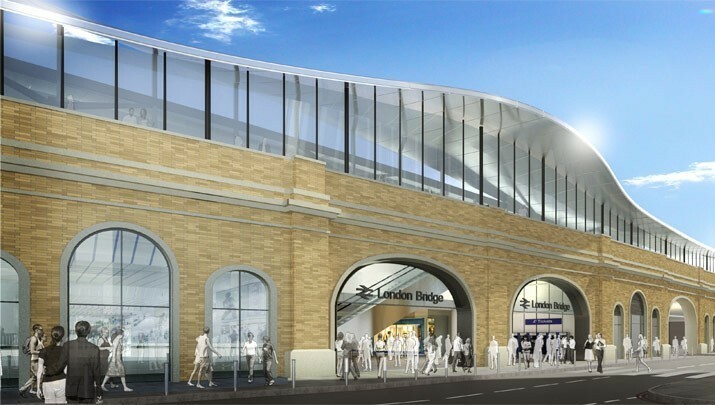 As part of the London Bridge Quarter development, which includes the Shard, the redevelopment of the area surrounding the station will modernise and transform this key terminus into London. The improvements to the rail links are part of the government-sponsored Thameslink Programme. The initial phase of work was focused on the “back of house” areas; 27 historic railway arches, previously hidden away were given a new lease of life using the latest DOFF method of cleaning. Pyramid are approved DOFF and TORC specialists and together with our historic masonry repair capability, our craftsmen are able to offer a full masonry regeneration package. Blockwork walls were constructed to form the new station accommodation. The 2nd Phase, which commenced in 2015 sees the development of the main station concourse, when completed will be bigger than the pitch at Wembley Stadium, comprising of new retail and station facilities. The project will be completed in 2018, with Pyramid playing a key part in the regeneration of one of London’s major stations.